We believe that one of the biggest decisions in peoples' lives can and should be made easier, more informed and more engaging. 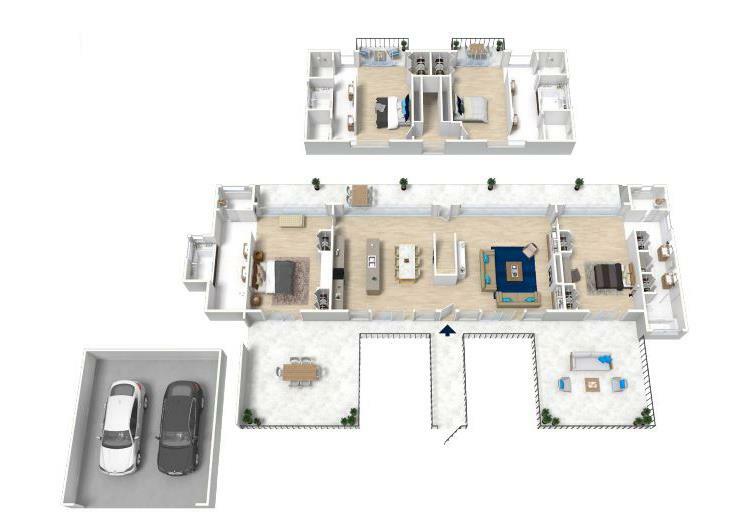 Offering the true essence of a home - Our 3D floor plans are tailor-made to your specifications, making each one unique and directly connected to your brand. 3D floor plans are becoming increasingly popular among real estate professionals and future homeowners alike as they depict the true essence of a home in a fully furnished and decorated state. 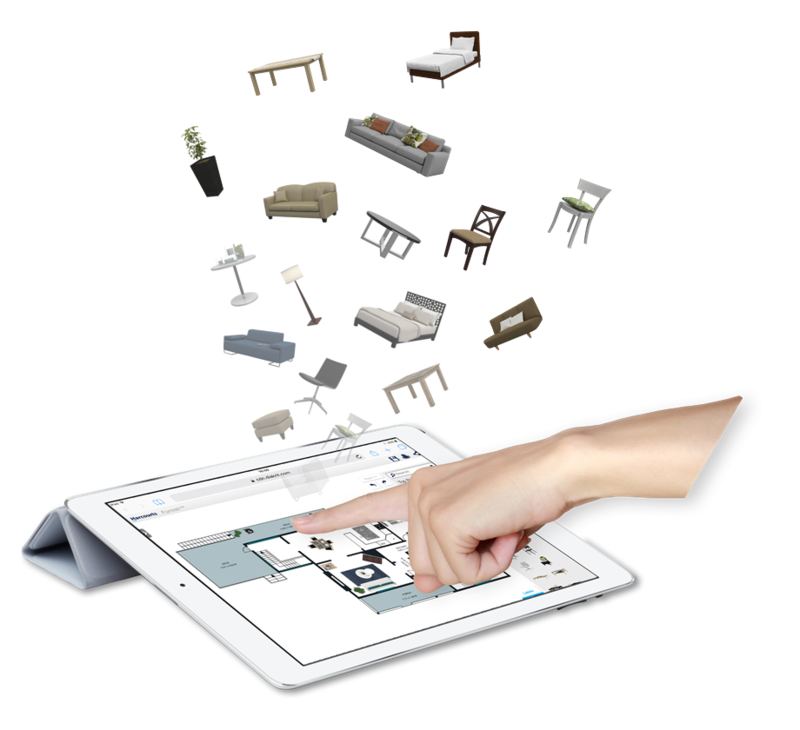 A comprehensive view of what a home can look and feel like - D-Furnish™ is a patent pending mobile-compatible online software that considerably enhances a property’s potential by allowing consumers to envision their perfect living space. The tools provided are easy to use, and end-users enjoy envisioning how their desired home should look. 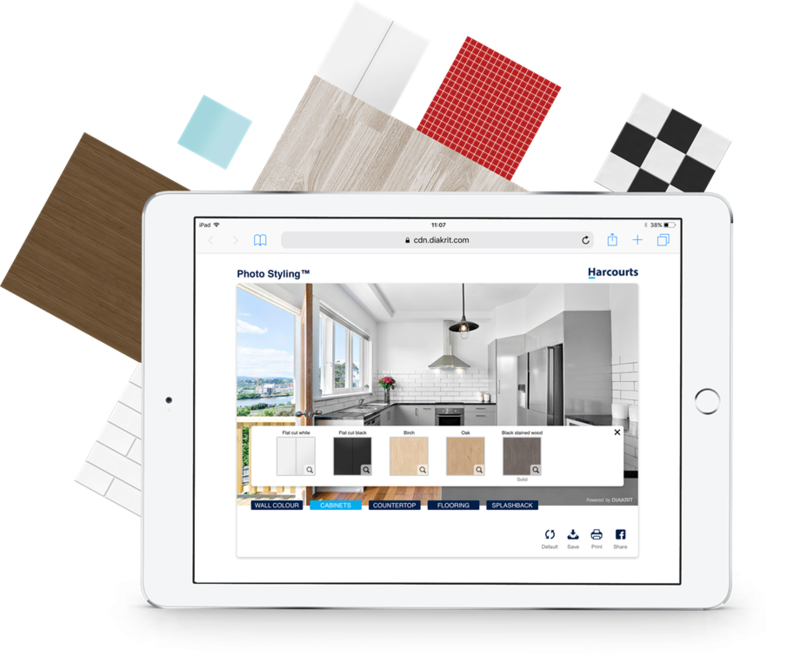 With its cross-device compatibility and highly responsive design, buyers and renters can easily choose from a large variety of models to digitally furnish and decorate properties online. The highly flexible interface also provides the ability to incorporate and brand custom furniture sets and drive additional revenue streams through 3rd party partnerships. Create a streamlined look & feel to your online listings - The floor plans that real estate agents, portals and developers feature in their listing presentations often vary greatly in quality. We work with each of our partners to create custom floor plan templates designed to their exact specifications. We start with an original floor plan sketch and from these we create polished and visually appealing high definition floor plans. 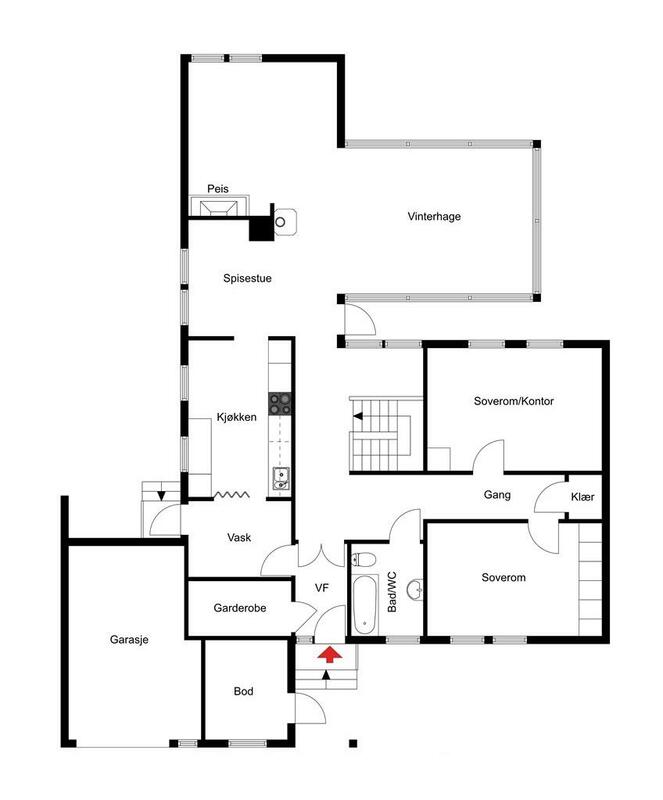 Our 2D floor plans provide a streamlined look and feel to listing presentations, online and print ads, all while enhancing the browser’s experience and strengthening brands. Make your photos look like a million bucks - Property photos are the first point of contact with potential homebuyers and renters making them an essential part of every real estate professional’s marketing strategy. With over 7 years of experience in professional photo services, producing over 1.6 million photos every year, our talent pool of photographers and expert in-house editors will make sure that your listings stand out from the competition. 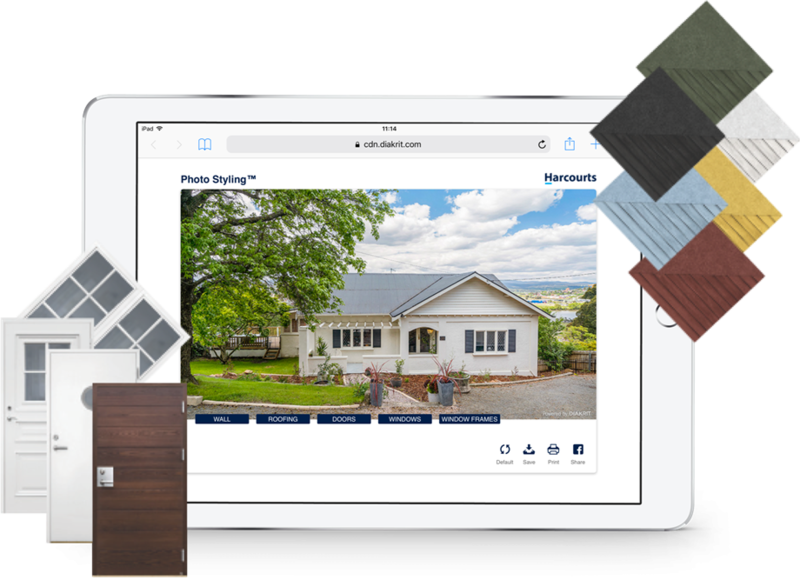 Discover and share the potential of any property online - Let your customer decorate and renovate your listing online. 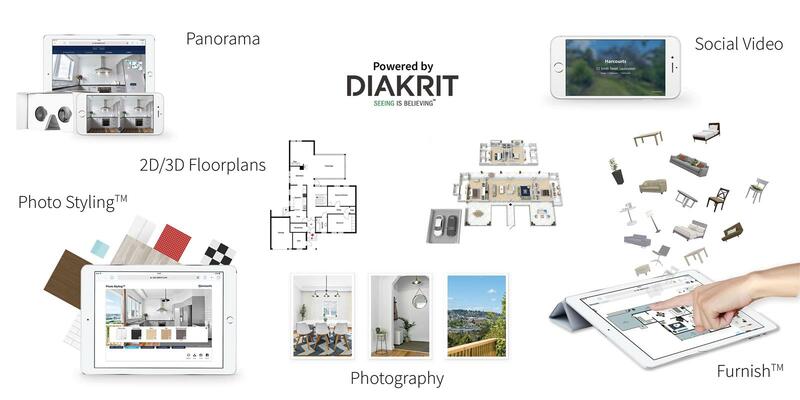 With D-Photo Styling ™ we use existing photographs to empower users with the ability to customize the interior and exterior of their future home by allowing them to select exciting new colours and textures for roofs, walls, flooring, countertops & cabinets. Harness the power of the Social Media world - Real Estate Agents are incredibly brilliant at getting to know their clients on a very personal level, getting involved in their community, and connecting with their local market. Social Video provides a way to further connect with your potential buyers and boost your marketing efforts through utilizing the power of Social Media.